At iVillage we’re passionate about supporting Australian bloggers. That’s why we’ve created iBlog Friday. It&apos;s a chance for bloggers introduce their favourite post of the week to iVillage readers and for our community to read what Aussie writers are up to. Here are the bloggers who have sent their submissions this week. Happy reading. Lara Cain Gray of This Charming Mum was a head-lice-virgin. Then, it happened. Read how she got though her first experience with childhood head lice in her post The 5 things I&apos;ve learned about head lice. Our turn finally came. I have lived a whole 40 years without ever coming face to face with a louse, but times have changed. We are now intimately acquainted. Only recently I was making merry jokes with friends about the fact that my kids must have some kind of inbuilt anti-nit pheromones because almost every other school kid we know has been infested at some point, while our house has remained a nit-free zone. Well, pride cometh before the fall! Read the rest of Lara&apos;s post here. Cassie Hamer of Mum plus More shares a familiar story of badly timed baby bowel movements in her post I&apos;m not a parent...I&apos;m a waste disposal expert. Since having children, I have developed the nose of a hound; I can sniff out a poo at ten paces. It wasn&apos;t always thus. There was a memorable incident in the time BC (before children) where I babysat my niece and left her marinating in poo for a couple of hours. My brother and his wife came home to find their precious baby girl with a bum redder than a stop sign. I&apos;ve improved since those days. Now, I act at the merest whiff of funk. Read the rest of Cassie&apos;s post here. Louisa Simmonds of My Midlife Mayhem writes bravely about a transition from sensible parents to parents behaving badly in her post Middle-aged couple trash top hotel. I would like to reiterate in our defence of your accusations that our celebratory, (I believe you described it in your letter as &apos;immature&apos;), behaviour in your hotel last week was not premeditated and due to the fact that we are celebrating our twentieth wedding anniversary. Although I do admit that sitting for four hours on the Parramatta Road on the Friday night on our way down to your hotel, an inappropriate level of &apos;silliness&apos; in attitude had unfortunately replaced our usual sense of responsibility. Read the rest of Louisa&apos;s post here. Jody Scott-Greer of Six Little Hearts sorts through a simple parenting task that can become complicated in her post How to Choose and pack a nappy bag. I am often amazed at the Moms I see at shopping centres and supermarkets lugging massive baby bags about. Many look like they are headed for the international departure terminal rather than a straightforward shopping trip. I am not sure what these Moms are carting about but it sure looks uncomfortable, not to mention fascinating! There&apos;s no need to take Junior&apos;s everything, everywhere. Unless of course you have more than one Junior. Even then, you can narrow down the list to the basics and save your back in the process. Read the rest of Jody&apos;s post here. Caylie Jeffery of Distractions of a busy mother explains the mixed emotions that come when your child lashes out at you in the cutest way possible in her post Harnessing the beast with a pencil. "I em going to the bech" "my sista liks pastar" etc. I love that my son is doing homework off his own bat... it&apos;s too cute. Well, it&apos;s cute until you discover that your 5-year-old is also using his pencil as a tool for controlling his feelings. Read the rest of Caylie&apos;s post here. Kellie Turtu of Mama Pyjama talks about a phobia that would make parenting very difficult in the early years in her post Phobias. Read the rest of Kellie&apos;s post here. Keri Arkell of Awesomely Unprepared explains how to travel without children (actually probably best not to take her advice) in her post Tips for travelling WITHOUT children. Book the least convenient, most exhausting flight ever. This will ensure that you are still able to enjoy that familiar tired feeling the whole time you are away. I myself, just enjoyed a particularly wonderful red eye flight or two over to the other side of the country. Try to sit near someone who works night shift (as I couldn’t help but overhear) and who is happy to chat to strangers for a full 3.5 hours in the wee hours without taking a breath. Make sure their voice penetrates every peaceful, doze-off moment you have, with talk about the weather and what they do for fun. Make sure you choose an airline that will try to feed its passengers breakfast at 3am your local time. This will confuse your body and your mind, much like having a child does. Read the rest of Keri&apos;s post here. Tracey Fox of Still Just Us reveals the dessert that lead her to really enjoy cooking for the first time in her post Masterchef eat your heart out. I am putting it out there; cooking is a lot less fun than people make it out to be. For me, cooking is a chore that makes more chores. Peeling, chopping, grating, dropping plates that explode into a million pieces on the floor… it all makes mess. Mess you then have to clean up. If you cook like I do, there’s not even the guarantee that the food will be edible. Steaks and salad, roast chicken and veggies are my go-to foods. So when work announced a team building activity at a recent conference was going to be a cooking challenge, I was a little less than thrilled. Great. I get to show the whole team how inept I am in the kitchen. I work for a food company – this was not ideal. Read the rest of Tracey&apos;s post here. Lisa Wilson of Welcome to two point five kids share a way too close encounter with a parent&apos;s tragic loss and tells us what she learned in her post Get out the tissues and hug your children. For those of you who haven&apos;t read between the thin blue lines, Mr Point Five is a man in a blue uniform in our small country town. He got a call out to a tragic, God-awful accident on one of our local farms which resulted in the death of a 10 year old child. Amidst the wretchedness, he witnessed a fathers pure grief and anguish and had to help cut away a son&apos;s lifeless body from the car wreckage. The child was on his way to school yesterday morning, and Mr Point Five has his little school bag, complete with cut lunch with him when he came home for a dinner break last night. It was every parents nightmare and I feel so guilty for having such an terrible meaningless argument with this good, good Man just hours before. I sobbed last night after hubby went back to work after dinner. More tears, just like my earlier ones of frustration, but these were different; the gut-wrenching pain was palpable, pouring down my face. Read the rest of Lisa&apos;s post here. To enter iBlog Friday send your submission to [email protected]. This week our winning blogger will win a beautiful Jurlique Age Repair kit. 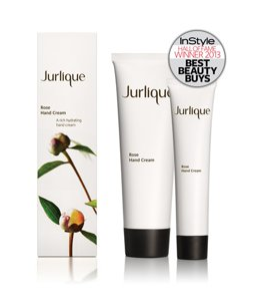 Find out more at jurlique.com.au.